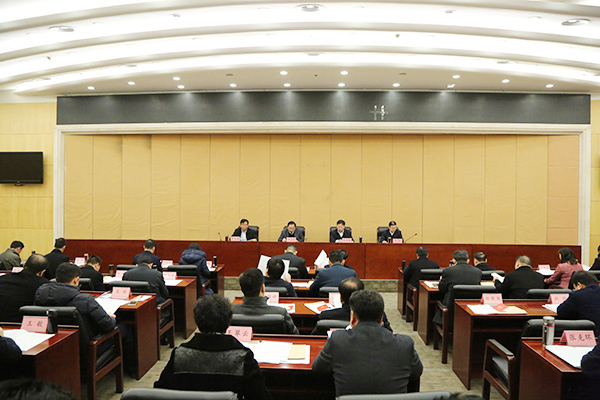 Summary: On the morning of February 2, Jining Chairmen Meeting of Federation of Industry and Commerce and the 13th Session of the Second Executive Meeting were solemnly held in Jining Canal Hotel. Jining Federation of Industry and Commerce Vice Chairman,Secretary General and Jining General Chamber of Commerce Vice President,Secretary General together with Jining Federation of Industry and Commerce Associated Committee attended this meeting.Shandong China Transport Chairman and General Manager, as the Vice President of Jining General Chamber of Commerce and the Member of the 13th Executive Committee of the Jining City Federation of Industry and Commerce,attended the meeting. 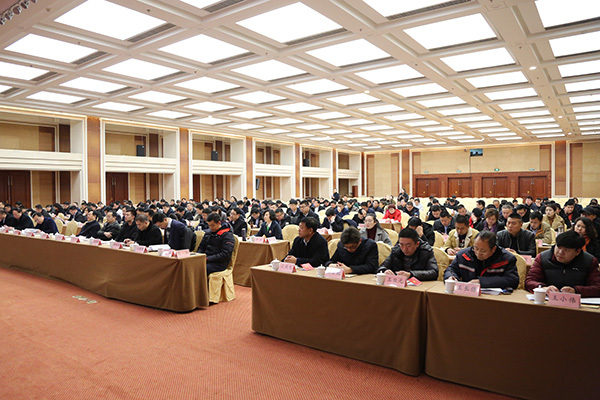 On the morning of February 2, Jining Chairmen Meeting of Federation of Industry and Commerce and the 13th Session of the Second Executive Meeting were solemnly held in Jining Canal Hotel. Jining Federation of Industry and Commerce Vice Chairman,Secretary General and Jining General Chamber of Commerce Vice President,Secretary General together with Jining Federation of Industry and Commerce Associated Committee attended this meeting.Shandong China Transport Chairman and General Manager, as the Vice President of Jining General Chamber of Commerce and the Member of the 13th Executive Committee of the Jining City Federation of Industry and Commerce,attended the meeting. After Jining Chairman Meeting of Federation of Industry and Commerce and 13th Session of Second Executive Meeting, the 13th Session of the Second Executive Committee Meeting was solemnly held.Jining Municipal Committee and United Front Department Minister Bai Shan, Jining Federation of Industry and Commerce Chairman and National Religious Affairs Bureau Director Li Kexue, Jining Federation of Industry and Commerce Vice President Wang Chenyu,Deputy Secretary of the Municipal Commission for Discipline Inspection Feng Guicheng, Municipal Federation of Industry and Commerce Vice President Si Xiangfang,Jiao Junfang, Wanghao and other leaders attended the meeting, which was held by Vice President Wang Chengyu. 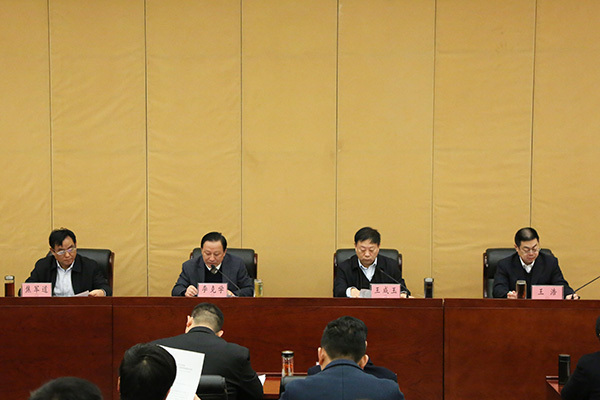 In the meeting,Jining Municipal Committee and United Front Department Minister Bai Shan delivered a key speech.He expressed his fully contentment with the achievement achieved by Federation of Industry and Commerce. 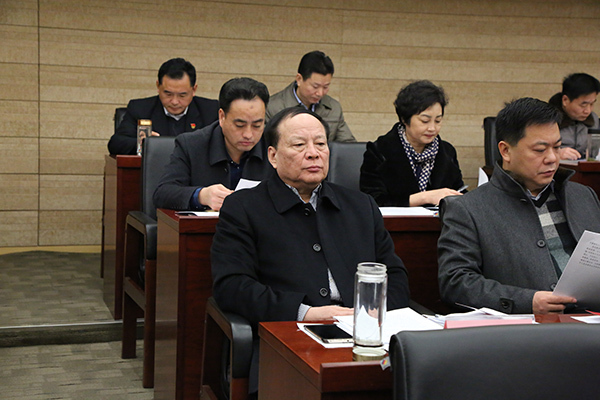 With regard to works in 2018,he pointed out that the organizations of federation at all levels have to give a full play to their advantages and take initiatives to put practice at first with high-level responsibilities,so as to promote the sounding development of non-public owned economy.Meanwhile,It is necessary to strengthen guidance and improve the capacity and level of services entirely.Uniting all of the members and a number of businessman who are engaged in non-public owned economy is able to push forward with the construction of Jining economy in the spirit of a high degree if political responsibility and reform and innovation. 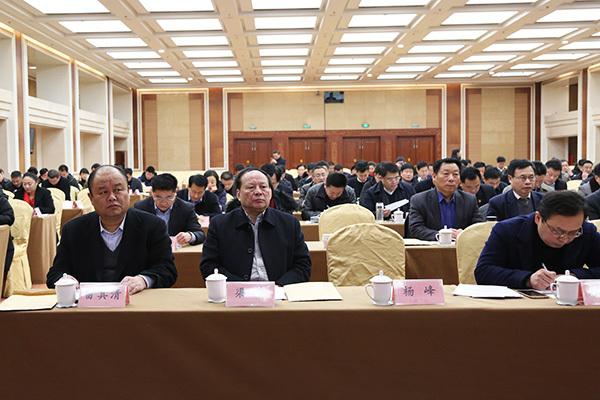 Then,Jining Federation of Industry and Commerce Vice President Wang Chengyu conveyed the spire of 12th National Congress of the Federation of Industry and Commerce and the 13th Session of Second Executive Meeting of Shandong Federation of Industry and Commerce.Jining City Federation of Industry and Commerce Vice President Jiao Jundao announced “Notification Related to Commended the City's Advanced Private Enterprises on the Action of ‘Hundred Enterprises Assist Hundred Villages’ for Targeted Poverty Allevation ” released by Jining City Federation of Industry, Jining City Poverty Alleviation Office.The Assembly also heard and reviewed the work report about the summary of the work of the city's business federation system in 2017 delivered by Municipal Executive Committee of the Federation of Industry and Commerce and Ethnology and Religions Bureau Director Li Kexue. They also arranged and deployed the assignment of the year of 2018 ,as well as tabled a proposal on how to accomplish the system work of Federation of Industry and Commerce well. In recent years, China Transport，under the leadership of Chairman Qu Qing, has been actively responding to the major strategic deployment of accelerating the conversion of old and new kinetic energy and fully promoting the transformation and upgrading of traditional enterprises.China Transport invested 230 million yuan to establish China Transport Electricity Industrial Park that is a collection of intelligent manufacturing, commodity trading, logistics and distribution, industrial services, exhibitions Expo, business offices and is support of comprehensive unit of "seven in one" function.The park sticking with the development strategy of “ integrating manufacturing industry with internet”,striving for developing industry supply chain of e-commerce has successfully transferred from traditional sales model to modern e-commerce sales model.t has become an industry model for promoting the successful transformation of traditional enterprises through the e-commerce information industry nationwide. More importantly China Transport has successively been listed as the Key Project by the Ministry of Commerce and the Ministry of Industry and Information and classified as the Major Project of Shandong Two Integration and the Demonstration Enterprise of Jining Information. 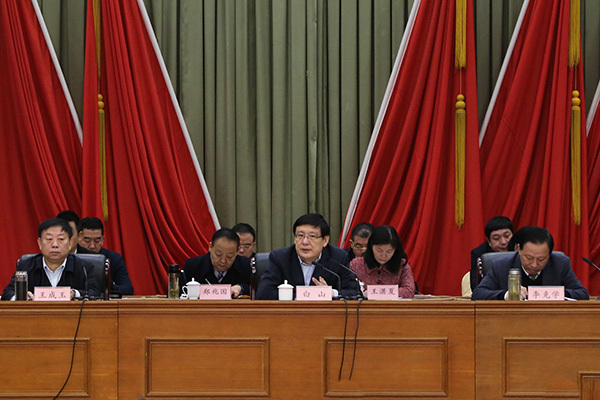 In the meantime,the group actively responded to the call of the nation's "Public Innovation for the Mass Entrepreneurship", accelerating the conversion of old and new kinetic energy, speeding up the integration of manufacturing and the Internet, and actively promoting industrial restructuring and upgrading.It is gradually engaged in smart robots,new-type agricultural machinery,hi-tech drone,modern medical equipment, high-end rescue equipment, new environmental protection equipment, having stepped into a way of transferred towards the diversification of electric power equipment and high-tech and smart made development.China Transport has became the industry model for boosting the transformation and development of enterprises through the two integration and made a great contribution on the development of non-public economy. Chairman Qu saidthat China Transport will conscientiously study and implement the spirit of the 12th National Congress of the Federation of Industry and Commerce and the 2nd Executive Committee of the 13th Shandong Province Federation of Industry and Commerce. Under the correct leadership of the CPC Central Committee and the Municipal Government, we must fulfill the mission entrusted by the times, live up to the great expectations placed by the masses of the people, work in unity and cooperation, carry on pragmatic innovation, keep pace with the times,and make a great contribution to the construction of Jining economic society with high moral and enthusiasm.